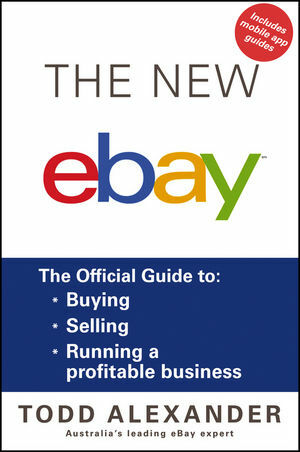 Written by an eBay insider with more than ten years of experience with the company, The New eBay guides you through the very basics to the more complicated—from a brief history of eBay itself to simple site navigation to every complexity of buying and selling. Whether you just want to earn a few dollars on the side or turn your hobby into a full-time business, this book explains it all. Written in clear, user-friendly language backed by simple step-by-step instructions and helpful screen grabs from the site, the book covers everything first-timers need to know and all the secrets experienced sellers wish they knew. Perfect for every eBay user, from part-timers to serious sellers who want to build a profitable business, The New eBay is the ideal guide for anyone who wants to get the most out of the world's most popular shopping and selling site.